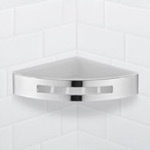 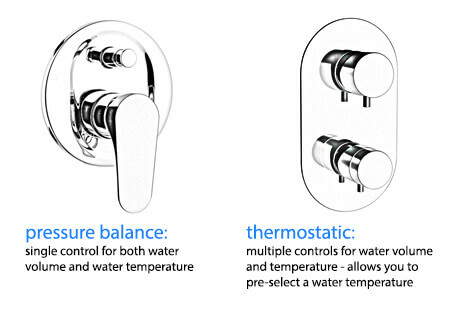 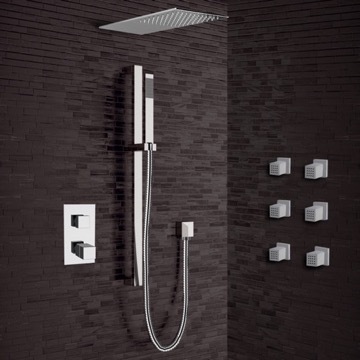 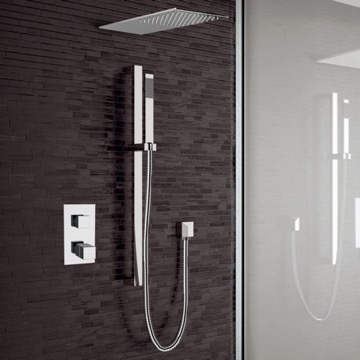 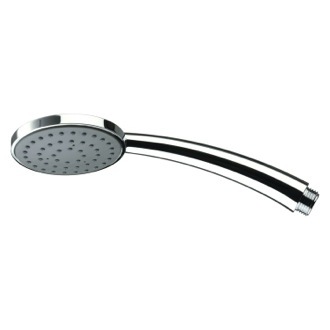 The Remer Galiano shower faucet system is a perfect choice for your bathroom. 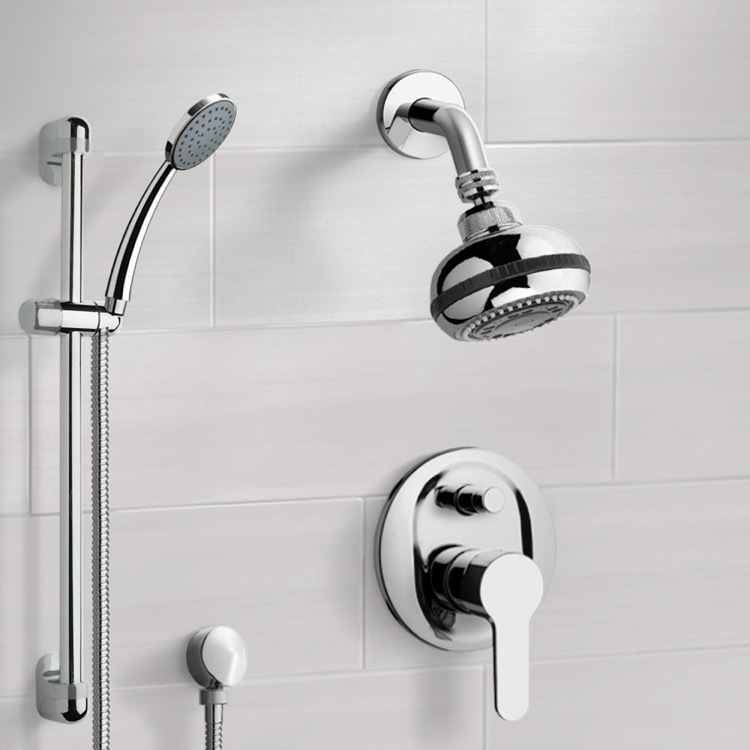 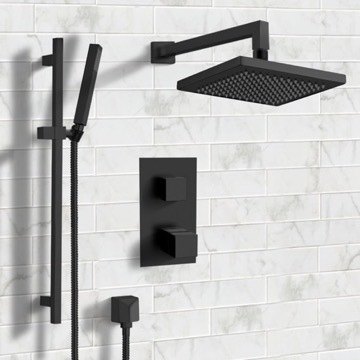 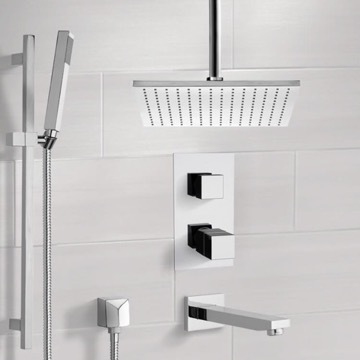 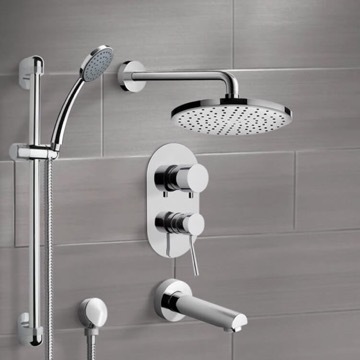 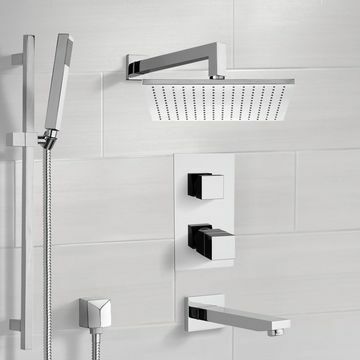 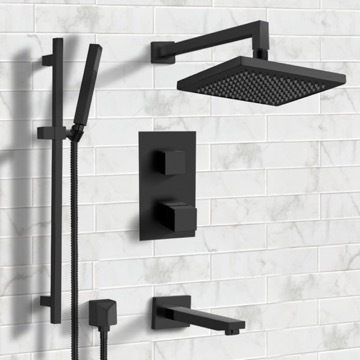 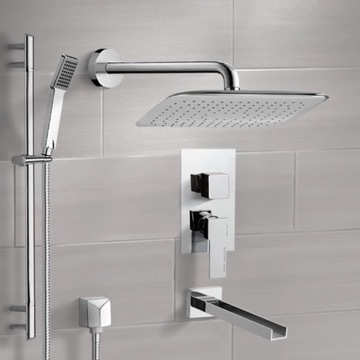 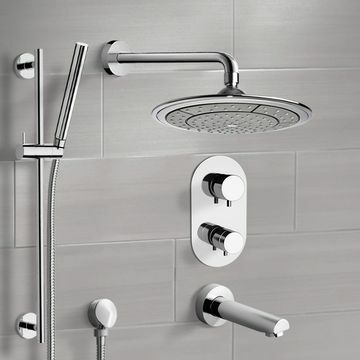 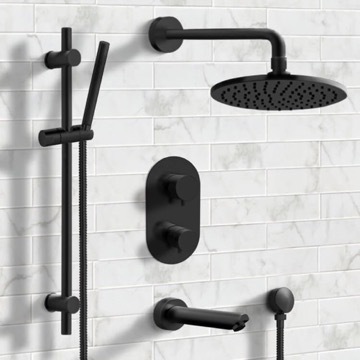 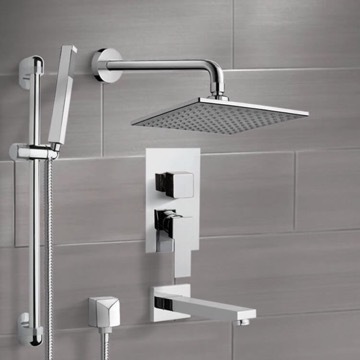 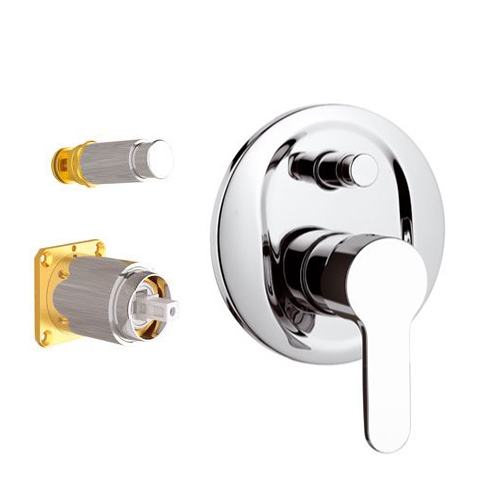 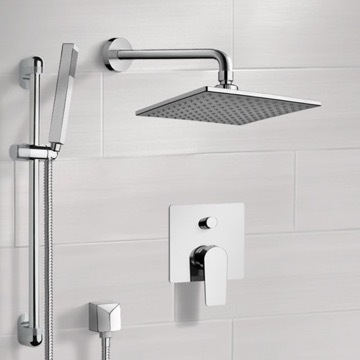 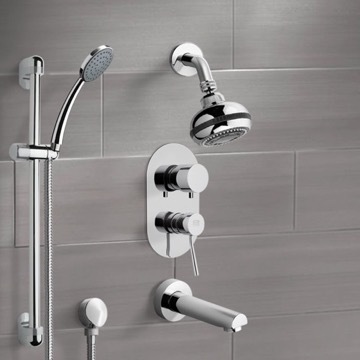 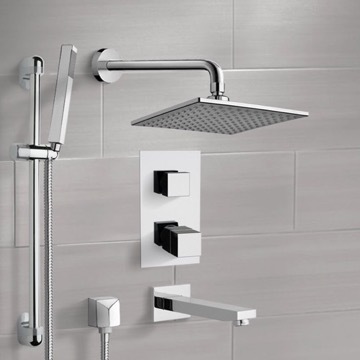 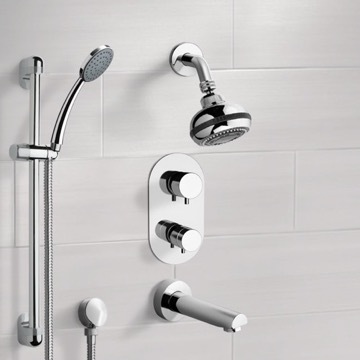 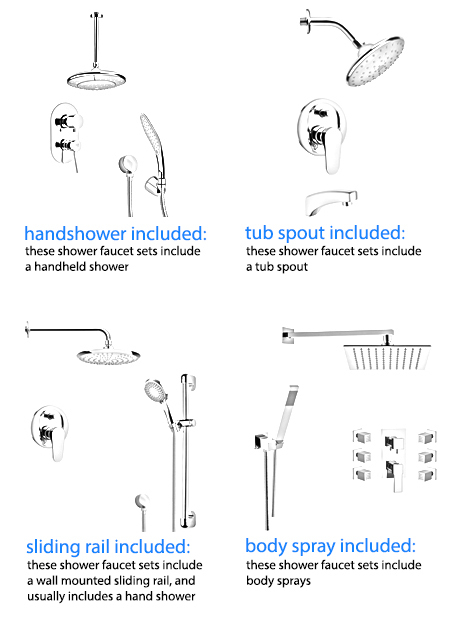 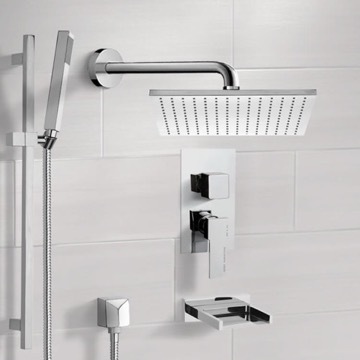 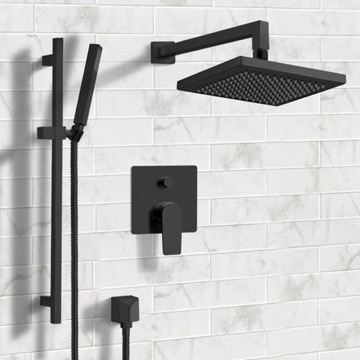 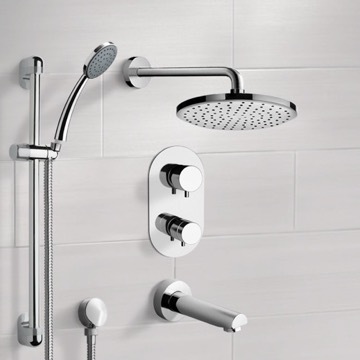 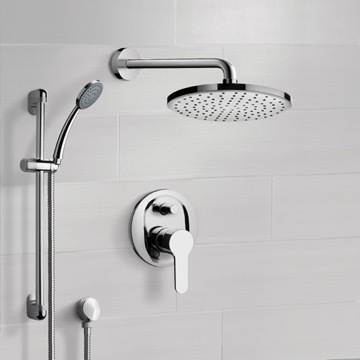 Constructed out of brass and ABS and with a ceramic disc technology, this all-inclusive shower faucet system includes a beautiful multi function shower head, sleek handheld shower, and sliding rail in a chrome finish. 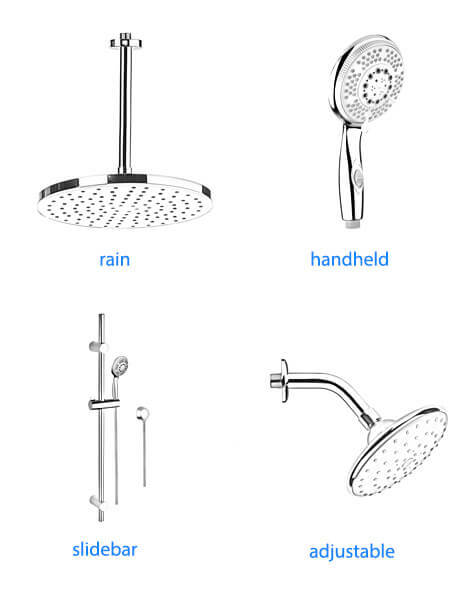 Yes, where are the installation instructions? 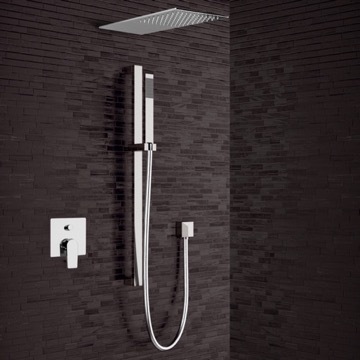 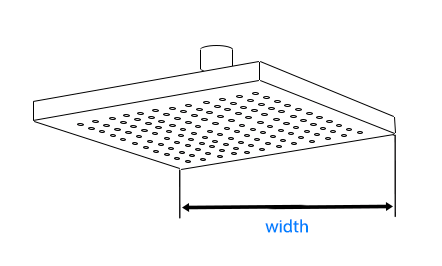 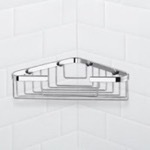 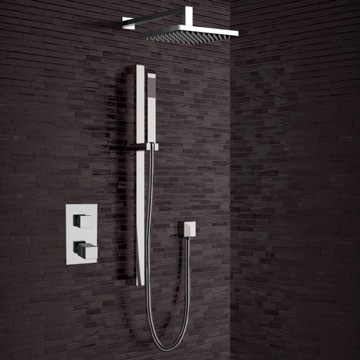 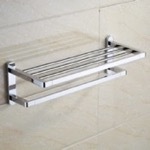 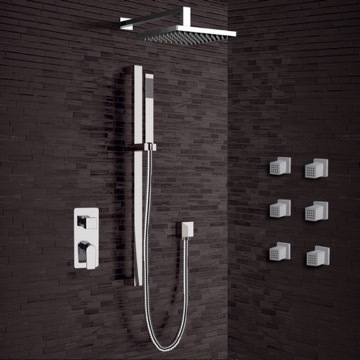 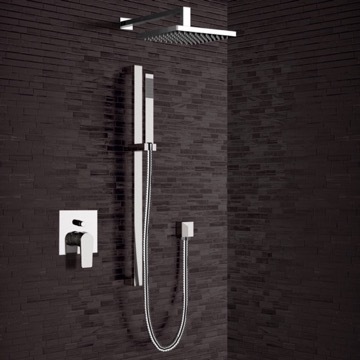 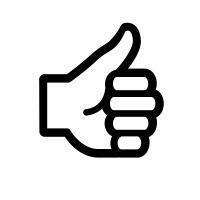 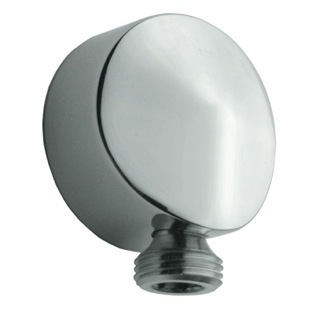 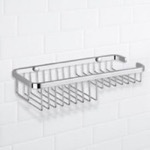 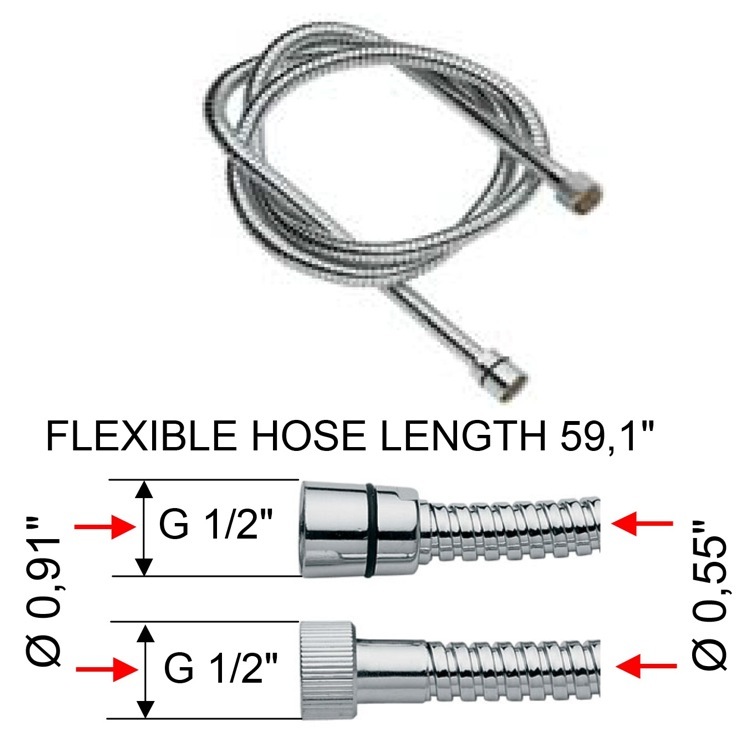 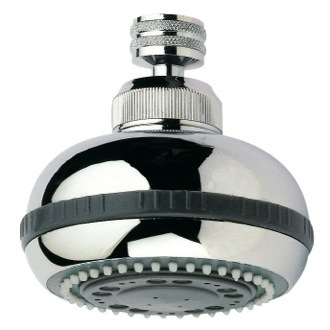 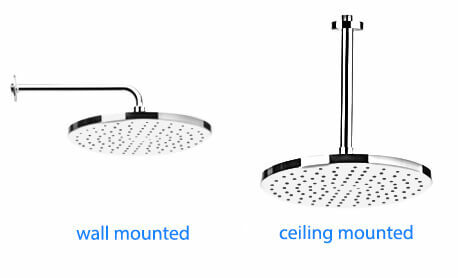 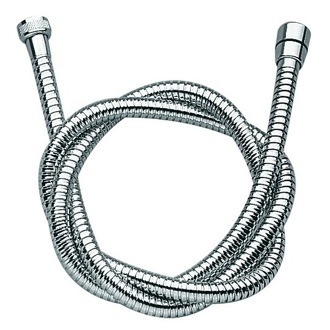 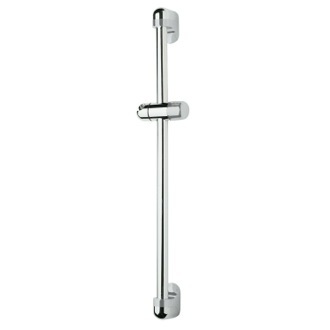 - The shower arm threads onto the shower head. 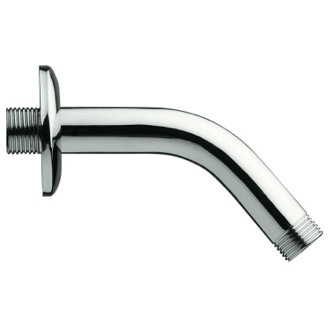 The other side of the shower arm threads into the pipes in the wall.